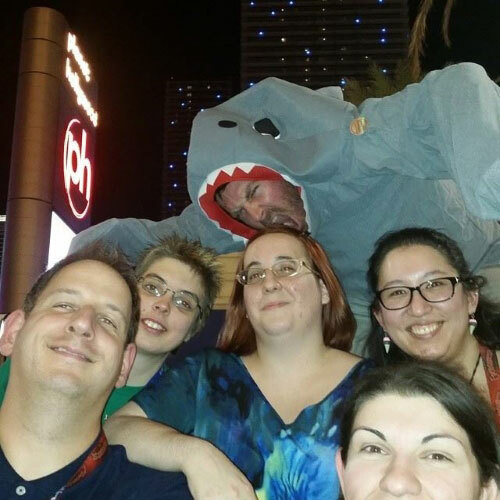 Some of you may already be familiar with me from my work with the EverQuest community, and some articles I’ve written for EverQuest II over the years. I’m Ry Schueller, and many of you know me as “Roshen.” I’ve completed a number of quests that will let me unlock the title of Community Manager for EverQuest II after Luperza transitions into other things. Instead of the traditional hellos, I’d mostly be interested to hear your feedback on what has been working for EverQuest II players, and what isn’t. -Do you use Facebook or Twitter? If so, what are your favorite types of post that you’ve seen us share there this year? 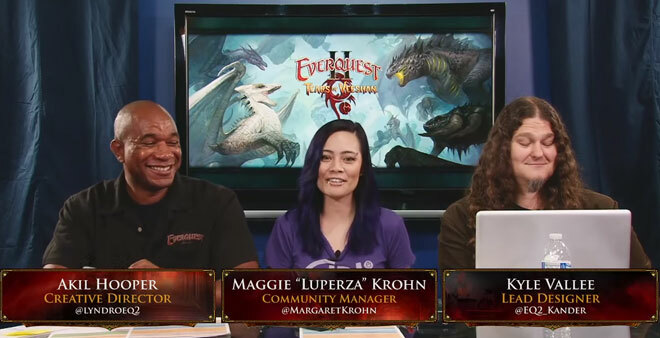 -Do you watch EQ2 Insider? If so, what are your favorite parts of this show? -Is there something awesome that you see other game teams doing with their community? If so, let me know so we can “borrow” ideas for EQ2 players. -What else do you want to share with me? I appreciate any time you can take to give me your feedback here (or via direct PM to me if you’re shy, or hit me up on Twitter@Roshen), and I’m looking forward to our adventure in Norrath together! I’ll still be hosting this week’s EQII Insider. Roshen will run things going forward. Sort of expected that Luperza would move on to further her career soon. Sorry to see her go she has worked hard with a difficult community. Still four Community Managers in a year is not a good look. I see the changes as a reflection on the community, not the company. EQ2 Forums appears to be a stepping stone to more fulfilling jobs. Her talents working with the community were noticed. This means other companies check out our forums and probably critique the interactions. Curse’s benefit is our loss. Roshen looks to have a sense of humor. It will be fun to see the interaction with shark man. Best of luck to Maggie on her new gig (she recently tweeted that she’d been packing). She showed what a highly engaged EQ2 CM can do. Can’t say that I am surprised that she is leaving really. Thought it was kind of odd that the EQ2 CM was not present at any of the EQ2 Panels during SOE Live. She was kinda busy handling the Eq/EQ2 tournaments. She really shines as a presenter, videographer, host, interviewer, and livecaster. Frankly, her sitting in the background on a panel would be a waste. I wish her every success. Her talent and ability always shine through. I have paid almost no attention to Curse in the past but look forward with interest to checking it out in the near future. Never heard of whatever curse is, but it almost sounds like a demotion. Curse is one of the major esport sites and a major third party MMO add on site. This is a step up in viability and fame for her. I have no idea how the benefits or pay stack up, but I imagine they are comparable. I will certainly miss Luperza. She did more for the EQ2 community than any CM in a long time. I wish her much success at Curse. Gonna miss her. /..\ Good sense of humor.